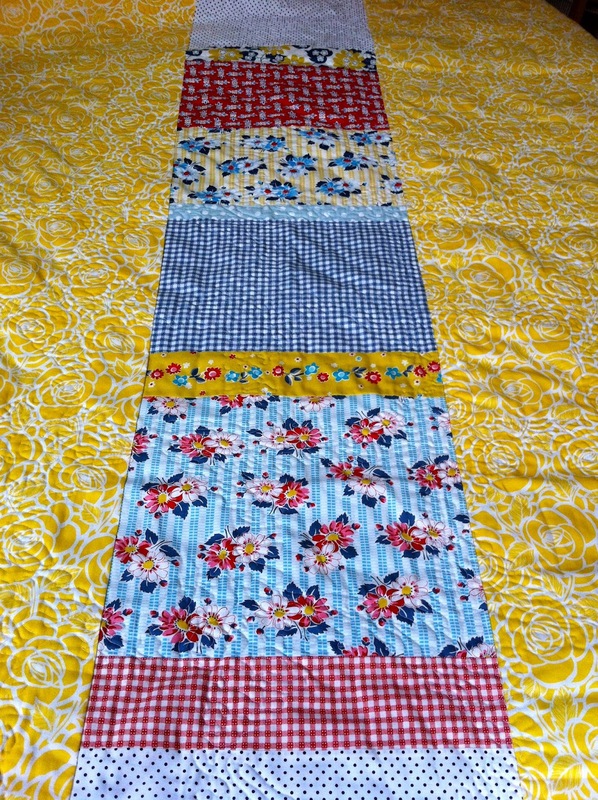 I just love these farmer's wife's quilts, they are amazing blocks and great stories behind them. 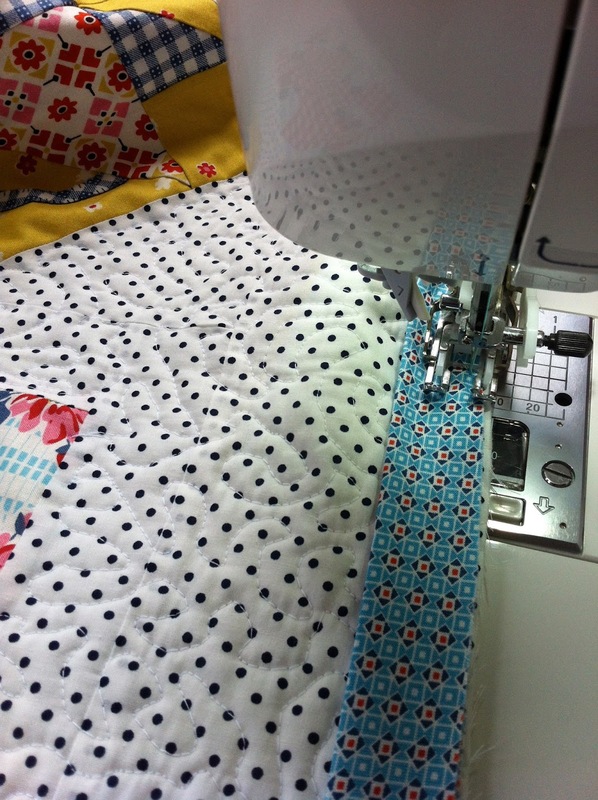 Combine that with some fabulous Denyse Schmidt prints and you've got Suz from Patchwork n Play's Sunnybrook Farm Quilt! Gorgeous! I love her combination of prints and I think her use of the polka dot as the background print is fabulous! 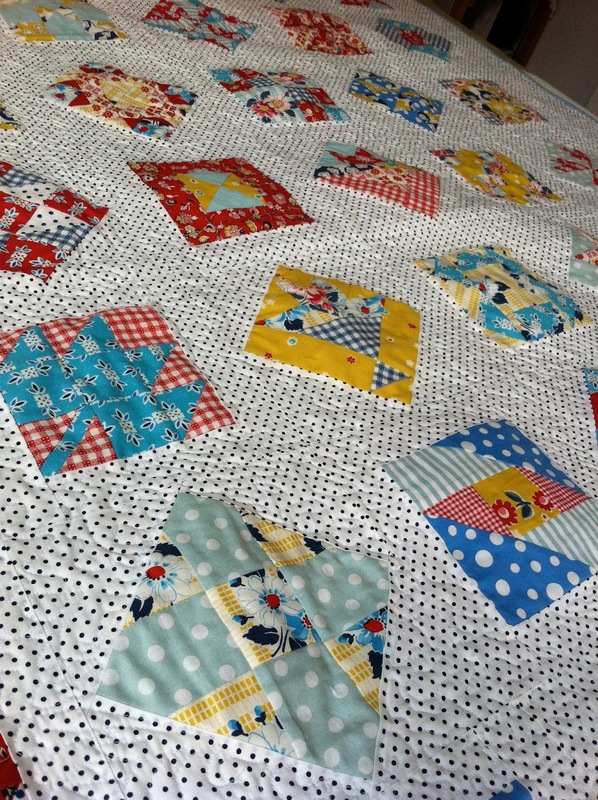 After you read her story make sure to see Patchwork n Play, her tutorials and a fun to-do list! 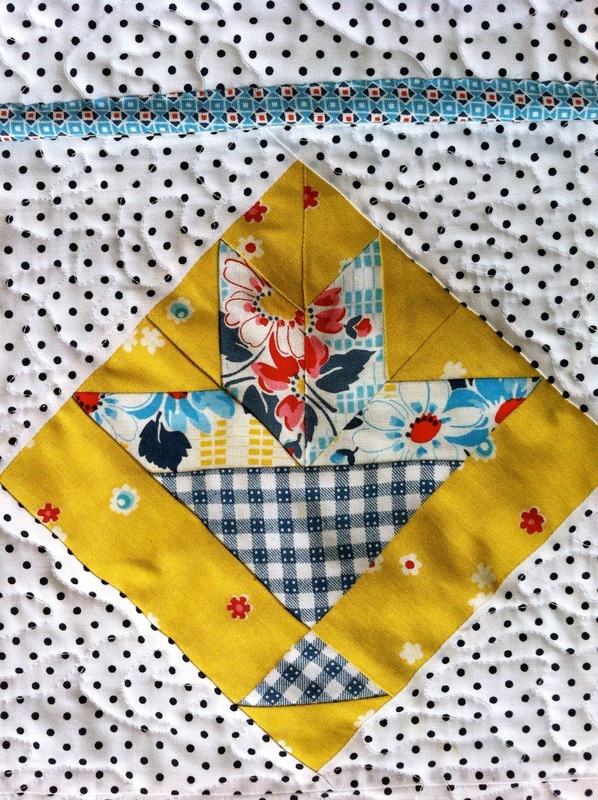 Suz, this quilt is simply stunning! It makes me want so start sewing up FW blocks so I can do the lay out just like you have. 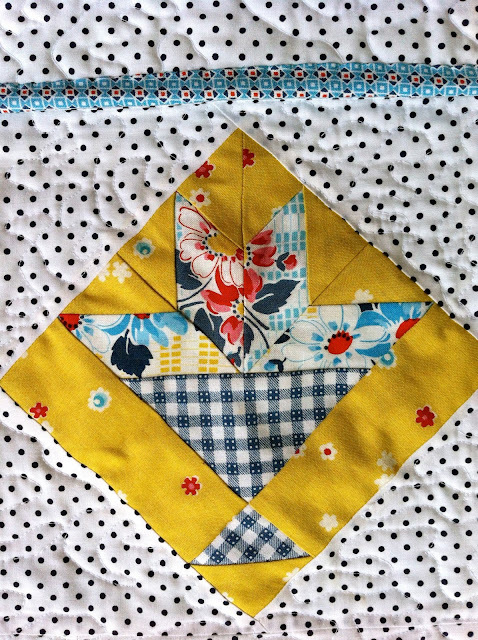 Well done for quilting it yourself, it real makes those wonderful blocks stand out! Susan makes fabulous things and it is wonderful to see her featured. Very nice! 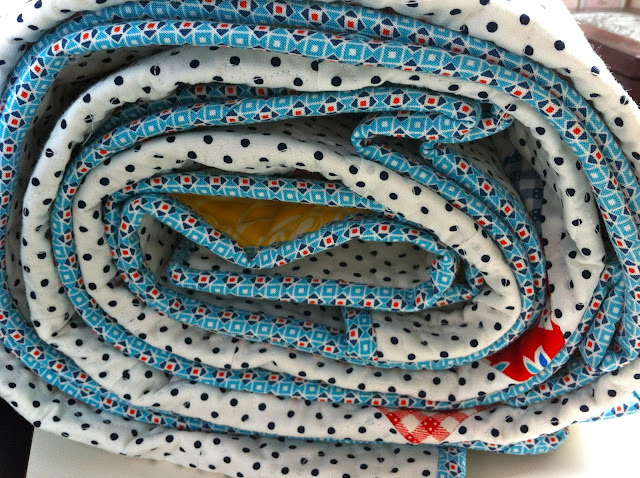 Love the dotty background and also your choice for binding. 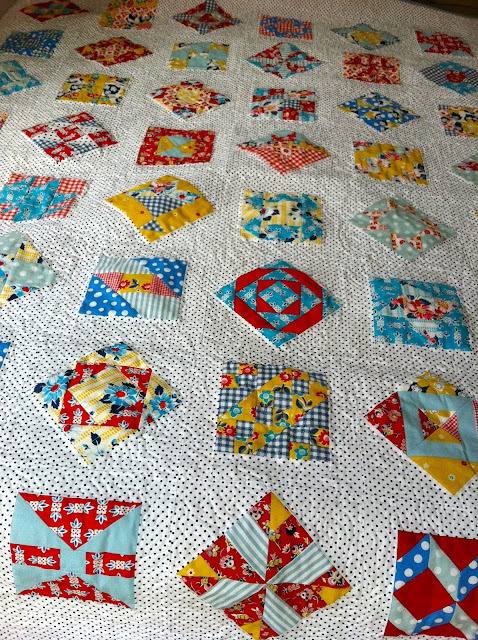 This is one beautiful quilt! 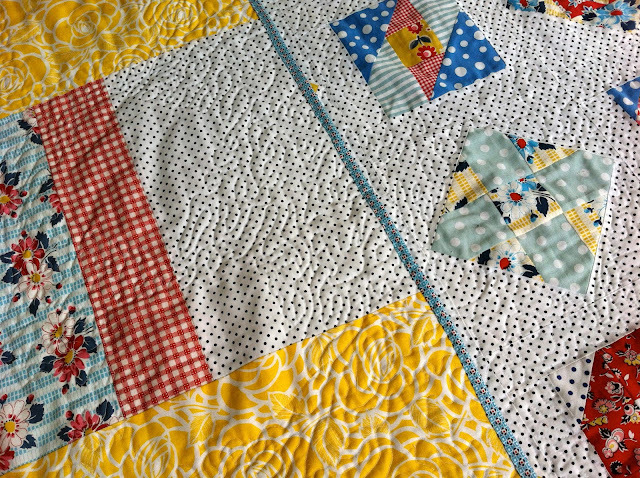 I love the polka dot background and the dense quilting is so smart. Wow. You have turned your FW quilt into something that is truly one of a kind! I love the way you set the squares. 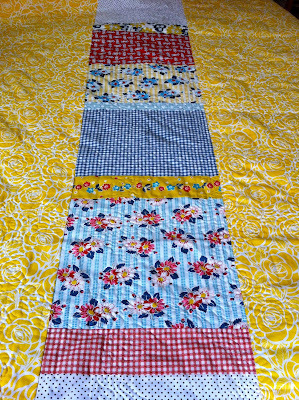 And the colors and the background fabric. Dang, but that is fabulous. Gorgeous. I enjoy you your creativity! 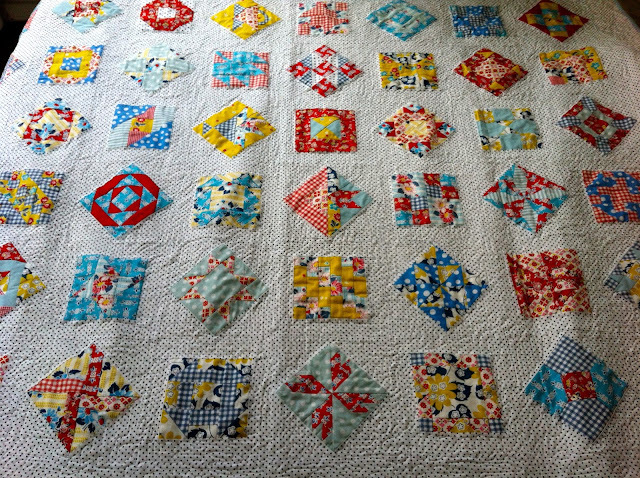 I am positively blown away by this quilt, it's so pretty, so colorful and so happy! beautiful quilt, lovely story! I love those colors, and iwth the polka dot background and sashing it is just divine!